Meticulously well-maintained 3BD/2.5BA home in popular Hickory Hills subdivision is move in ready! Enjoy the neighborhood pools, park, and clubhouse. 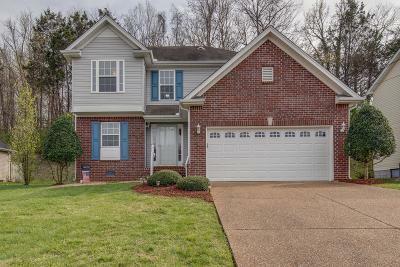 Designer upgrades include hardwood flooring downstairs and new carpet upstairs, new Samsung stainless steel kitchen appliances installed in 2019, and the Trex deck is perfect for entertaining with low maintenance yard!